When you have longer distances to travel and require a comfortable ride, a handicapped scooter or mobility scooter is the best solution. Unlike a standard manual wheelchair, you can drive over rougher surfaces without feeling the impact. The scooter also works great for sloped environments and long walking distances. The handicapped scooter has 3 or 4 wheeled options that provide stability, excellent maneuverability on sharp corners and a reduction in bumpy rides. Three wheeled scooters are best used indoors because they can make the sharper corners in a home. The turning radius is smaller thus increasing the maneuverability. So if you intend on using the handicap scooter solely within the confines of a home, opt for the 3 wheeled scooters. To operate a scooter, you use a lever mechanism to control the stop and go. Release a lever to stop the scooter and press it to go. Handlebars allow you to control the left and right movements. A handicapped scooter features a seat with an armrest and lumbar back support similar to an electric wheelchair. Most have a basket in the front of the scooter for storage of groceries or other handicapped supplies. The basket is placed way below eye level so it does not interfere with your vision. There are built in safety features that prevent acceleration during a downward slope. Speeding downhill on a mobility scooter might cause the vehicle to tip or flip over causing a lot of harm to the driver. You can add on a sidecar to the scooters for additional passengers. Battery operated vehicle that is charged by a wall outlet. You cannot ride a scooter on public open roads. Handicap scooters must be driven on sidewalks and designated pathways. Who can use a handicap scooter? Regardless of physical disability, the handicapped scooter can help anyone with limited mobility. If you are elderly, the scooter allows you to visit long distance friends who you have not seen in a while. Stroke survivors, with loss in some or all of their lower body limbs, will find the scooter a way to return back to self independence. 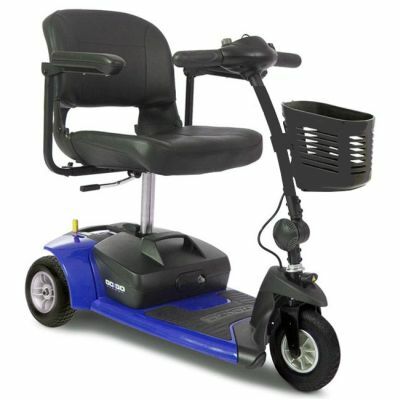 People with arthritis, multiple sclerosis and/or muscular dystrophy can also use the scooter. Handicapped scooters will provide you the independence you deserve. Free to move around your home and environment without having to wait on someone else. If you are convinced a handicap scooter is right for you, there are reputable online scooter dealers that can help you through the process of financing, purchasing and getting the latest deals on scooters. There are also many handicap scooter reviews and testimonials from happy customers. Here are some of the cheapest and best recommended scooters to purchase. 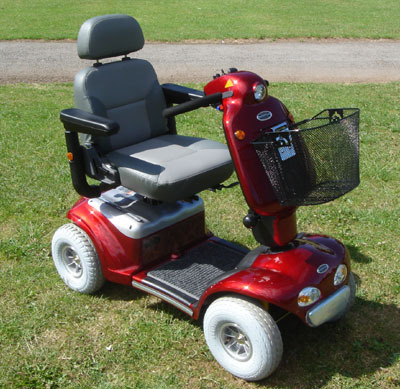 If you have private insurance or Medicare/Medicaid, you might qualify for a mobility wheelchair. Sign up and apply for a electric scooter or wheelchair. There may be no costs to you and you will get a reply within a day. As with any handicap scooter, it can only go so far before it requires a scooter lift. Long distance travels will require a handicap scooter lift. These lifts can handle 600 pounds of weight. Once hooked on and attached, all it takes is a gentle lift and swing of the scooter into the back of the van. One can expect these scooter van lifts to cost in the range of $800 to $1000 dollars. There are internal and external scooter lifts. Internal scooter lifts allow you to place the scooter inside the converted handicap van. The external scooter lifts have a ledge positioned at the rear entryway. For additional stability, the scooters are strapped into place on the ledge.